suryaya namah", 6000 times in 40 days. saha chandra mase namah",11000 times in 40 days. Charity: Donate Rice or Milk on MondAay. sah bhaumaya namah, 7000 times in 40 days. sah budhaya namah, 17000 times in 40 days. Rudraksha: Wear a 10 mukhi Rudraksha. sah gurave namah, 16000 times in 40 days. Donate: Saffron or turmeric or sugar on Thursdays. Rudraksha: Wear a 5 mukhi rudraksha. shukraya namah, 20000 times in 40 days. namah, 19000 times in 40 days. Perform thilabhishekam on sanitrayodasi, sanijayanthi (pushya masam bahula astami) and saniamavasya days. Worship the ruling deity Sri Ganesha. Recite the Ketu stotra everyday. Chant Beeja mantra of Ketu: Om shram shreem shroum sah ketave namah, 7,000 times in 40 days. Donation: A black cow (Syama Gaay) or black mustard seeds on Thursday. Recitation of Shiva Panchakshari Stotra is also considered a very good remedy for Ketu. A number of people who believe in Indian astrology refuse to believe the efficacy of the remedial measures it offers. Here are some of many questions I have received in the past. is there a justification for remedy at all?" how can I change something written in my chart and hence in my destiny"
wouldn’t that invalidate what’s written in my chart"
All of the above are excellent questions. But there is valid theory behind the concept of remedies. and hence give a bad name to these remedies. Planets move in the skies in a pre determined way. The permutations and combinations they form are all predetermined and are being governed by natural laws. Reasoning then suggests that the only way destiny can control your next birth based on your karmas is by choosing a time for your birth when the certain planetary combinations suited to give you the results based on your past karmas are present. So destiny does it role by choosing that moment and giving you a life as per the planetary combinations and their natural effects. Now destiny's role is done and planets take over to give you the results based on the combinations present at the time of your birth. But what if the man learns to alter the effects of planets to some extent now.. can he alters his predefined life now.... the answer is obviously.. if we understand how planets effect us to begin with to give the life destiny handed over to us.. we can surely alter those effects to make them work for us. That's what remedies are all about. They are our attempt to alter the natural effects of planets. We do that by experimenting with gems (which use electromagnetic radiations), Mantras. (Which use sound waves) and Yantras (which use geometrical and mathematical shapes). A doctor needs to determine your health and other drug history before prescribing a medicine. he does that to make sure that there are no unwanted interactions with other drugs you are taking, your body will be able to take the side effects and the drug will be effective given your age, weight, blood pressure etc. An astrologer pretty much needs to do a similar analysis. e.g. Let's say that a native comes to you with a problem of not able to gain a lot wealth. Now the problem has two parts, he must be able to make a lot of money as well as he must be able to accumulate a lot of wealth by proper savings or investments. What if you suggest a remedy, which will help him, earn a lot of money by making a particular planet stronger? But what if that planet is bad for accumulating wealth? By suggesting that remedy you just made sure that he will earn a lot of money but will not be able to save or invest it properly. That person will obviously come back later on and say that the remedy never worked. 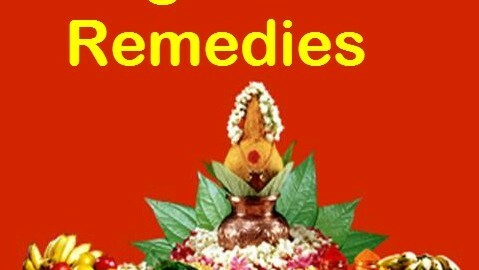 The correct way of suggesting the remedy is as follows. First Determine the overall bad and good effects of all planets in the chart. Next determine the strength of all those planets. If weak but good panet is picked for remedy, determine if that planet is capable of producing bad effects for any house. Check the strength of that house, if the house is otherwise strong proceed, otherwise also include in your remedy the good planet for that chart to protect that house. If strong but malefic planet is picked up for remedy, determine if that planet (specially the houses on which that planet lords over) is good for any house. Repeat the same check as explained above to make the affected house stronger. Finally check the dasha scheme, check the relationship of the planet with the dasha lord and see if they are compatible. If not compatible then suggest a remedy for the dasha lord instead of the planet in question. As you can see the results will really vary chart to chart. That's why no remedy works the same way for all the poople. Remedies do work, but determine the right remedy takes real skill and years of experience. Mantras—The Indian science of mantras is very highly developed. There is virtually a mantra for everything. For thousands of years the saints and sages of India have recommended using mantras for relief of all kinds of karmic difficulties, even health problems, work and love problems, or the existential problems of life itself. This of course includes the difficulties that may be found in an astrology chart. By locating the source of the karma (usually a planet), the astrologer can prescribe the correct mantra to remedy the problem. Meditation and Prayer—Prayer is the simplest and yet perhaps the most effective upaya there is. To sit quietly in the divine presence, or to pray with words, has been proven time and again to solve the most difficult problems of life. There is no better upaya: prayer is free and it works. Puja and Homa—Vedic tradition offers us some very intense prayers and rituals that can be done by a pandit (ritual master) for us in order to remove negative karmas. Ritual worship of the planets is known as puja, and can involve anything from waving a stick of incense before an image of the planet to an all-day ceremony that takes several trained priests to accomplish. Beyond that, there is the homa, which is the lengthy, complex, and extremely ancient ritual of the fire ceremony. The homa, performed by a pandit observing all the correct rites, is a highly effective means to work out planetary karmas and bring relief into your life. Charity—All spiritual traditions recognize the power of charity, and in jyotish this power is put to us for astrological effect. Feeding the poor, giving money to a relief organization, or simply doing good deeds for your neighbor are all acts of charity that will have a significant effect on your karma. As usual, the greater the sacrifice, and the less you attempt to bring attention to yourself for the sacrifice, the more powerful it will be. Those who have more to give need to give more to get the same good effect. Gemstones—One of the most interesting upayas is the use of gemstones. This tradition is a long and meaningful one in jyotish, the remnants of which can still be seen in Western Astrology in the debased concept of “birth stones.” In Vedic astrology, the astrologer prescribes a gemstone related to the planet that is causing the difficulty. For example, if you have an afflicted Moon, you may get a lot of benefit out of wearing a large fresh water pearl. The science of which gem to wear for what problem is a complex one, and normally requires professional to correctly determine.